EA is planning to release a lot of downloadable content for Star Wars Battlefront over the upcoming year, including new maps for Season Pass holders and owners of just the standalone game. It all kicks off today, with the launch of free content that brings the Tatooine Survival map (now called Raider Camp) to multiplayer modes, as well as new Hoth outfits for Luke Skywalker and Han Solo. 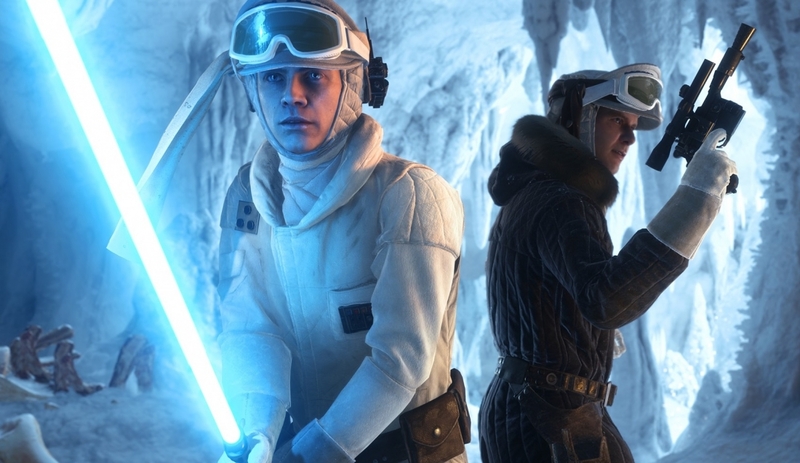 In February, all owners of Battlefront can expect to receive new Hoth content, including an all new large map for multiplayer, and a new survival mission. The update will also allow gamers to play Turning Point on all large maps that support Walker Assault and Supremacy, not just maps from the Jakku DLC. March will see the launch of the first paid DLC for Battlefront, called 'Outer Rim', bringing new maps including "the factories of Sullust" and "Jabba the Hutt's palace on Tatooine". For those who don't want to pay, or don't own a Season Pass, EA will also launch a new large Endor map for multiplayer modes, alongside a new Tatooine Survival map. The two paid DLC packs that will follow Outer Rim are the most interesting. In the summer of 2016, a Bespin pack will launch, bringing maps set in the iconic Cloud City from The Empire Strikes Back. In the fall of 2016, we're set to receive a Death Star map pack, which will include memorable locations from the original trilogy. The final map pack hasn't been announced just yet, but it's expected to become available in early 2017. Owners of the Season Pass will get all this content delivered as soon as it comes out, but each map pack will also be available as a standalone purchase.